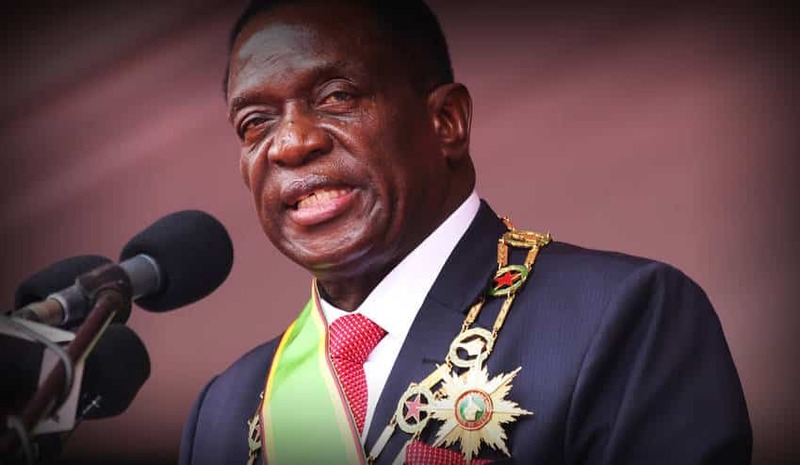 President Emmerson Mnangagwa’s administration appears to have switched back to the former President Robert Mugabe’s style of governance following the arrest of Zimbabwe Congress of Trade Unions (ZCTU) officials today as the police moved to thwart its demonstration against new financial reforms. Mugabe was unpopular for employing state apparatus on the ordinary citizens and those who differed with him a script President Mnangagwa pledged to throw away. “I will fight tooth and nail against those making a mockery against Zanu PF founding principles, ethos and values. You and your cohorts will instead leave Zanu PF by the will of the people and this we will do in the coming few weeks as Zimbabweans in general now require new and progressive leadership that is not resident in the past and refuses to accept change,” part of President Emmerson Mnangagwa last November enroute to new Zimbabwe. Post 30 July disputed elections which the Constitutional court resolved by declaring President Mnangagwa as the rightful winner, Harare has remained highly militarized with the police and city fathers launching a clampdown on vendors in the wake of cholera outbreak which claimed at least 50 lives. Surprisingly, the police allowed the ruling party Zanu PF to host ‘thank you’ rallies a fortnight ago, including in Harare where MDC’s 19th anniversary was banned on the pretext of the medieval disease, cholera epidemic outbreak. ZCTU has added a list of victims of the new dispensation with the polices raiding its head offices today. In a statement, the workers union mother body, confirmed the arrest of the senior officials who were raided at their offices in the capital this morning. “In Harare, Zimbabwe Republic Police (ZRP) officers arrested ZCTU members including the labour union’s leaders, Peter Mutasa and Japhet Moyo, at their offices and detained them at Harare Central Police Station. “In Mutare, ZRP officers arrested some ZCTU members from their offices and detained them at Mutare Central Police Station while in Masvingo, the law enforcement agents arrested some ZCTU members and detained them at Masvingo Central Police Station,” reads part of the statement. 263Chat also learnt that in Masvingo senior ZCTU officials were arrested in connection with the protest which was planned to go simultaneously around the country. Meanwhile, the Zimbabwe Lawyers for Human Rights (ZLHR) has moved in to provide legal aid to the union officials who defied the police order given yesterday. The police reminded the workers union yesterday that the public gatherings banned a couple of weeks ago to curb cholera was still effective and warned that the law enforcement agents would not hesitate to descend on them if they defy the order.